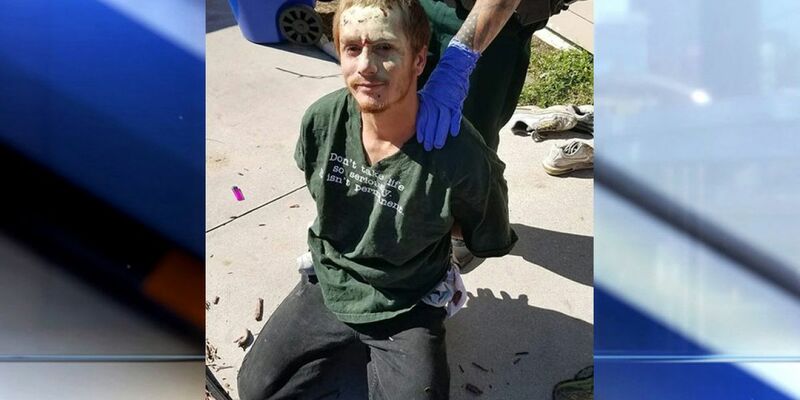 VERO BEACH SOUTH, Fla. -- A man was arrested in Indian River County after deputies say he shot a man during an argument. On Sunday, April 14, 2019 at approximately 1 p.m., deputies responded to the 600 block of 3rd Street SW in reference to a shooting incident. Deputies learned that the suspect, 27-year-old Gene Lee Franklin, had confronted a female over a welfare check call. Another male witnessed the confrontation and approached Franklin and became involved in a verbal confrontation with him. During the argument, Franklin removed a firearm from his waistband, shot the male subject, and fled. Deputies were able to locate multiple witnesses as well as a single .40 caliber spent shell casing. Deputies searched for Franklin but were unable to locate him. The following day at approximately 3 p.m., deputies obtained a tip that Franklin was located in a residence in the 200 block of 6th Court SW.
Deputies established a perimeter around the residence and were able to positively identify Franklin inside the residence. They ordered him out of the residence but he barricaded himself and refused to exit. As the SWAT team was being called out, Franklin appeared in a window. At that time, an on scene supervisor fired a 40MM less-than-lethal launcher containing an "OC" round, which caused him to exit the residence. Franklin was taken into custody and charged with Attempted Murder, Aggravated Assault with a Firearm, Discharge Firearm in Public, Possess Firearm by Convicted Felon, and Resisting Arrest Without Violence.